Timothy Moore Creech is a financial advisor with over 42 years experience, specializing in portfolio risk management. He has earned a number of professional designations demonstrating advanced knowledge in several key investment areas and recently completed a Master of Science in Financial Services (MSFS). Creech Financial focuses on providing personalized wealth management for clients, several of whom have been clients for 42 years. After high school, Tim played football for Randolph Macon Military Academy and then graduated from Greensboro College in Greensboro, North Carolina with a Bachelor of Arts in Education. He attended Officer Candidate School for the U.S. Marine Corp and left active duty 4.5 years later as a Captain. 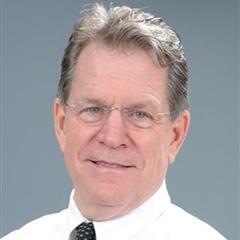 After teaching elementary school for 3 years and at the same time attending graduate school under the GI Bill, Tim began his career as a financial advisor in 1977 with Penn Mutual, where he specialized in working with physicians in Winston-Salem, NC and later in Chicago, Illinois. In 1984, he affiliated with Northwestern National, which later became ReliaStar and then ING. While with ReliaStar and ING, Tim was selected on three separate occasions to be one of five brokers that served on the Registered Representative Committee, serving three, three year terms. In 2002, Tim affiliated with National Planning Corporation, a leading broker-dealer for independent advisors in the U.S.. It was affiliated with Jackson National Life Insurance Company, one of America's largest life insurance companies with more than $65 billion in assets. In 2017 National Planning Corporation, with it's 4,000 representatives was acquired by LPL Financial - the largest independent broker dealer in the United States*. Because of the economy of scale connected with LPL, Creech Financial's clients benefit greatly from these enhancements. Creech Financial is fee based and enjoys quarterly client meetings. Tim is a native North Carolinian and enjoys backpacking, strength training, ballroom dance competitions, amateur radio, photography, boating, Krav Maga and travel. He is an active member of Myers Park United Methodist Church. * As reported by Financial Planning magazine, June 1996-2018, based on total revenue. Amy's family relocated from New Jersey to North Carolina in 2008. She has over 20 years of experience in the Financial Services industry and started her career as a Wire Operator with Smith Barney. She has worked for some of the top brokerage companies, including Merrill Lynch and AG Edwards and is cross trained in all areas of the operations side of the business. With this experience, she is able to give clients exceptional service! She enjoys walking, reading, spending time with friends and family, traveling, watching her son play high football and watching sports on tv.